We work with landlords and investors in San Ramon who are at every level of real estate experience. Maybe you’re renting out a home you once lived in, or perhaps you’re an investor with a growing portfolio of rental properties. Our goal is to make your job easier, and to deliver a standard of property management excellence that’s hard to find elsewhere. We take a personal interest in every property and every customer. We have been managing rental properties in San Ramon for decades, and we know the local market well. Whether you own a single family home, a condo, or a duplex, we can help you find qualified tenants and manage the day-to-day operations of your rental home. Our property management plans are full-service, which means less liability and less headaches for you as the property owner. We lease properties in Gale Ranch, The Bridges, Canyon Lakes, Windemere, and nearby neighborhoods. Experience has shown that a great rental experience starts with the right tenant. We look for renters who have a history of being good tenants. By talking to landlords, checking their backgrounds, and verifying everything the put on their applications, we’re able to place the most highly qualified tenants in our properties. What does that mean for you? Stable rental income. A well-maintained home. A better rental experience. We provide full service property management in Gale Ranch, The Bridges, Canyon Lakes, Windemere, and surrounding areas. What can you expect from our full service management plans? Ongoing rent collection and financial reporting. We help owners all over San Ramon, including the zip codes 94582 and 94583. Rent collection is timely and efficient. Tenants pay online, and we make electronic deposits directly into your account. Through preventative maintenance, we save you money and protect the condition of your investment. Our vendors are the best in the business, and priced competitively. Our eviction rate is low because our screening standards are high. But, if we need to remove a tenant who isn’t paying or honoring the terms of the lease, we move to evict quickly and professionally. At Windsor Pacific, we use some of the most innovative technology and resources available to the property management industry. This helps us to manage your investment more efficiently, and at a lower cost to you. With tenant and owner portals, we can collect and distribute rent quickly and accurately. Tenants can make routine maintenance requests online, and owners can access documents, read reports, and check invoices. Look for monthly statements, inspection reports, and leases. Communication is easy and accessible. When you call our office, you’ll get a live person. Tenants can call with emergency maintenance issues 24 hours a day and 7 days a week. You won’t get lost in an endless voicemail system or be passed from department to department when you have a question. We keep it simple. At Windsor Pacific Property Management, we think a free rental analysis is the best way to begin your career as a landlord. It will help you understand the true value of your property and prepare you for what you’ll earn in rent. Talk to us about your property. We like to know what you love about it and what keeps you up at night. As your San Ramon property management resource, we’re ready to help you make the most of your rental investment. My husband and I have had Jackie as our property manager for 3 years and from beginning to end she was great! She was professional, personable and prompt in all areas. I highly recommend Windsor Pacific!! We’ve set high qualification standards and have a detailed application process, which includes income verification, background checks, credit checks and even pet screening! All pets are screened by our third-party vendor to help eliminate 'fake' service animals and problem pets. Our leasing agents and property managers are all licensed. And, we conduct all our activities in accordance with State and Federal law as well as the National Association of Residential Property Managers Code of Ethics. Multiple options for tenants to pay rent conveniently and on time. Detailed monthly statements, annual reports and IRS compliant reporting. Monthly Direct deposits of your rent proceeds to your bank account. We have a dedicated maintenance team of qualified vendors and a “sister” maintenance company to ensure prompt repairs and we are on-call 24/7/365 for emergencies. We use an attorney to assist with the eviction process in the unlikely event that a tenant needs to be removed from the property. This enables us to win an overwhelming majority of our eviction cases. (Legal Fees and Court Costs paid by Property Owner). We have an in-house accounting team who oversees all accounting and reporting functions. Payment of property related invoices, customized to each client's needs. We use AppFolio management software -- the leading, comprehensive, integrated accounting, maintenance, and advertising program available to the industry. We simplify your life by connecting you to our Owner Portal where you can obtain your monthly owner statements. 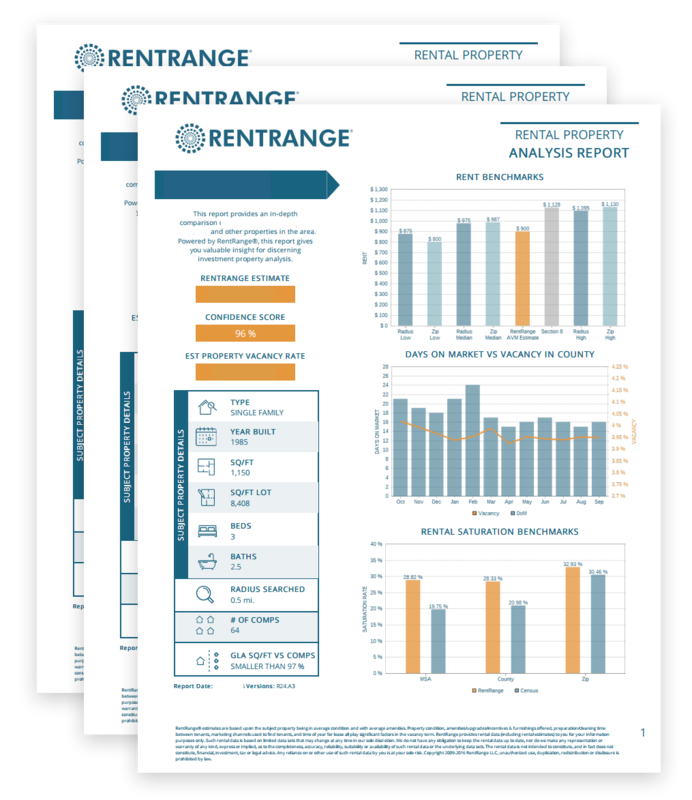 We give you access to your property reports via your AppFolio Owner Portal. We upload Owner Statements, Leases, Property Surveys, etc. you can make online contributions, manage your banking information and more. Prospective residents can apply online with the click of a button. Existing residents can pay their rent online instead of sending rent checks by mail, submit maintenance requests, electronically sign rental documents, view their payment history and more. From their computer, tablet or mobile device, Tenants can conveniently place maintenance requests and upload pictures. Making life simple for your tenants. If you are not satisfied with our services, and we can’t make it right for you, you can cancel our management agreement without penalty. Request a property survey done by one of our trusted vendors. Customized per property needs. Property owners living outside of California must abide by CA FTB Tax Withholding on their rental income. We will help you navigate the forms that need to filed with CA FTB. Additional monthly management fee for Properties under a home warranty policy. Have More Questions About San Ramon Property Management? Many people come to us, wondering how much their property will rent for, and have other questions about renting out their property. We’re happy to help you. Our experience in the local market and our work with properties like yours make us a reliable source for answering all your property management questions. If you’d like to learn more about our properties and what it’s like to work with Windsor Pacific Property Management, get in touch. We’d be happy to talk more about our rental properties, our application requirements, and our leasing process.